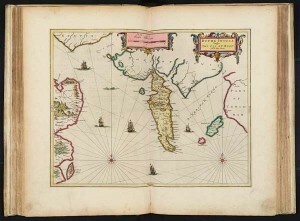 View the wonders of 17th century mapping in the latest addition to the Library’s online map gallery. 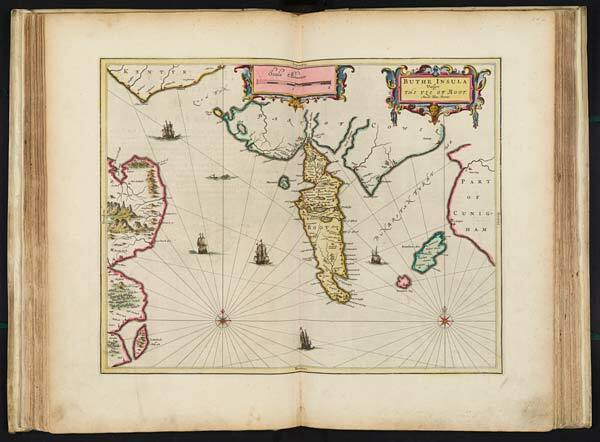 We have just added a complete zoomable facsimile of Joan Blaeu’s Atlas Maior of 1662-1665. The Blaeu AtlasMaior or Cosmographia Blaviana is one of the largest and most splendid of the multi-volume Dutch world atlases. 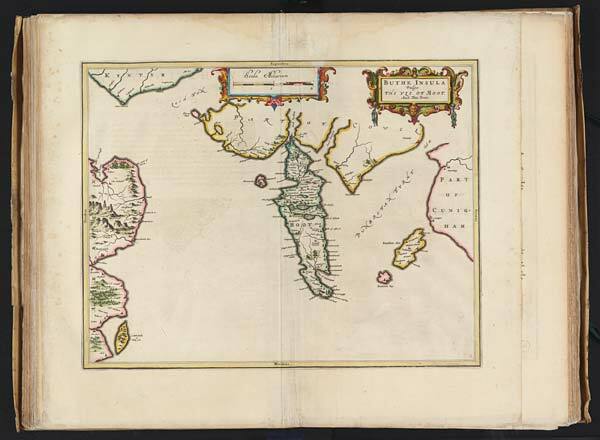 Its 594 maps and 3,368 pages of text spread over 11 volumes collectively presented the state of geographic knowledge of the world in the mid-17th century. 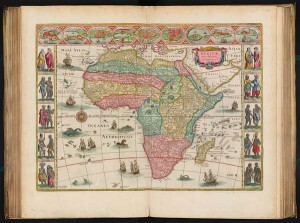 This map of Africa shows views of African towns above the central map image. Less detailed areas have been filled with delightful elephants and ostriches. 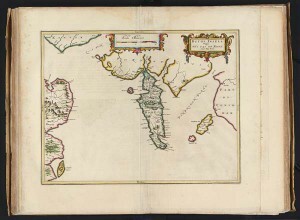 Volume VI of the work was devoted to maps of Scotland and Ireland, bringing forward the original maps of Scotland from the work of Timothy Pont, first published in Blaeu’s Atlas novus of 1654, into their final published form. 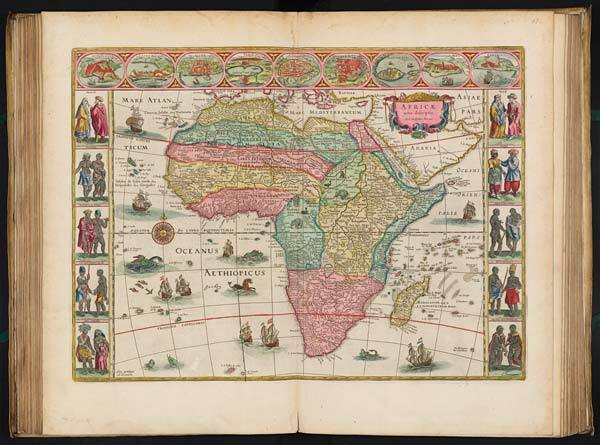 The Atlas Maior was the most expensive book that could be acquired in the mid-17th century — a lavish and splendid item for display by its wealthy customers. You can compare the maps of Scotland in Blaeu’s 1654 Atlas to the later versions in the Atlas Maior on our website. Although there were minor corrections to the text, the only changes to map plates were the addition of compass bearings and ships on 28 map plates where they were originally lacking. For example compare the two versions of the map of the Island of Bute. Buthe Insula published in 1654 surrounded by empty Firth of Clyde. Buthe Insula. Vulgo The Yle of Boot. 1654. The later version of Buthe Insula from the Atlas Maior includes ships and a sea monster.